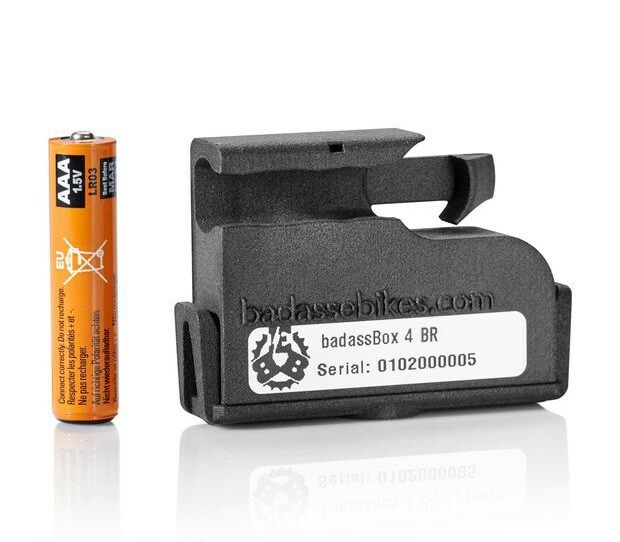 BadassBox Type 4 for Brose Electric Bike Tuning. This tuning tool shifts the speed limit of electric bikes with Brose engines from 25 km/h up to 50 km/h (or even faster). The device activates itself automatically at a speed of approx. 11mph. Important: If the tuning is active, your electric bike display will only show half of the real speed. That means: If your display shows a speed of, for instance, "22 km/h", your real speed is 44 km/h etc. After dismantling the tool your Brose electric bike is restored back to its original condition (engine support to 25 km/h). This means, you can drive your electric bicycle 100% legally on public roads again. The device requires no electrical contact to the Brose system. The installation is very easy: The badassBox has to be attached to the original Brose speed sensor of your electric bike. Simply plug it in and lock it with an O-ring. After repositioning the magnet on the bicycle spoke, your electric bike is tuned and you can drive (at least) twice as fast with full motor support. The energy is supplied by a watch battery cell which allows (approx.) 6000 km or one year (discharged battery) of operation, thanks to its special low power technology.The battery can be changed without problems. The microprocessor of this tuning tool switches on and off automatically. This enables the badassBox Type 3.4 to divide the transmitted speed by two as soon as you reach the threshold speed of 12mph (the exact value is depending on the wheel size). Thus, a constant support is granted for speeds reaching up to 30mph (or more). In case you want to use your electric bike legally on public roads again, just open the O-ring lock and pull off the badassBox. 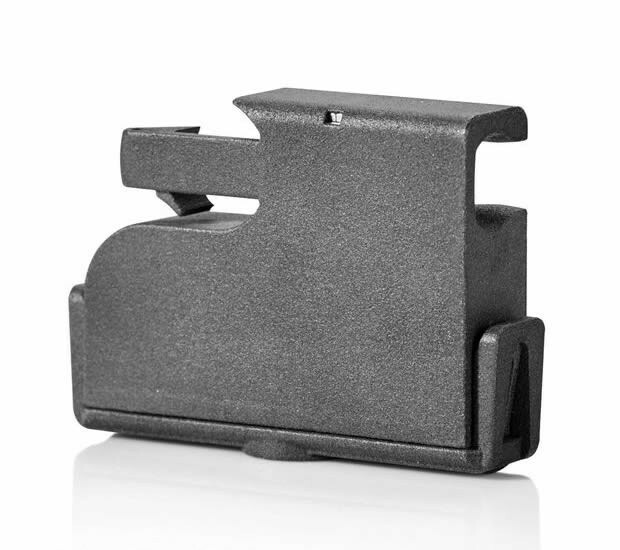 The dimension of the device is similar to a matchbox (50mm x 46mm x 23mm, as well as a low weight of 33 gram). This means, the device can be stown away very easily. After having set the magnet back to its original position – unscrew, shift, and tighten – the electric bicycle is back in its original condition (engine support to 25 km/h) and ready to go again. Suitable for Electric Bikes powered by Brose drive systems. 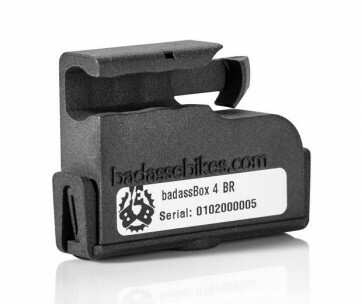 Compared to its predecessor models, the new badassBox 3.4 has been vastly improved. The housing of the Box has been strengthened, the electronics enhanced and the firmware is better adapted to the current motors of the diverse electric bike manufacturers. The new badassBox Type3.4 is 100% splash proof and less sensitive to vibrations and bumps. In short, this amazing tuning tool is better than ever!